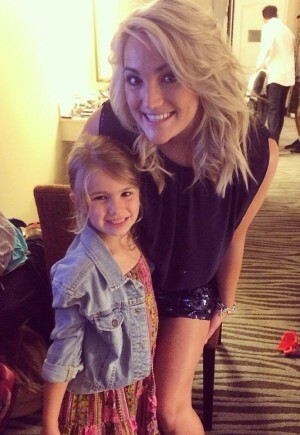 It’s hard to believe Jamie Lynn Spears is only twenty-three. The rising star has already had a full life in her brief season here on earth. Growing up with a mega-famous sister like Britney Spears to revere, the younger sis’ was quick to create her own namesake in Tinseltown. By the age of twelve, the performer was headlining a TV show on Nickelodeon, Zoey 101. But, after a three-year run, and at the height of her career, the actress announced her controversial teen pregnancy and at 16-years-old left Hollywood behind to raise her baby girl. Now, six years later, with her 5 ½-year-old daughter, Maddie, in tow and new husband, Jamie, by her side, the mature mom has come back stronger, and has reinvented herself as an authentic country recording artist. We had the pleasure of interviewing the young musician, who talked about everything from motherhood and family balance, to Britney comparisons and her brand new EP, The Journey. So, you chose to pursue a career in country music. Is this a genre that you were always interested in? Yes. Even though I worked in California when I was a kid, I grew up in Louisiana so I think country music was always a big musical influence for me. And, because your sister is pop star Britney Spears people automatically compare you. Do you find that the case with your music? Of course people are going to recognize the fact that my sister is Britney Spears, and I am proud of that. My sister has proven herself to be very successful and hard-working, so I don’t mind the comparison… That being said, we are two different people in two different genres, and, in time, I hope to prove myself as well. Were people trying to sway you to choose one type of music over the other? If so, how did you convince them otherwise? I’m pretty strong-willed, so I don’t feel like I have to convince anyone with what I am going to do with my life. After I had my daughter, I just stepped back and took time to figure out what kind of future I wanted to create for us. Then I started song-writing, and it was just a perfect fit and everyone around me supported that. I love your debut single, “How Could I Want More?” What was the inspiration behind that song? Well thank you! My inspiration was my husband. I wrote it a few years back with Rivers Rutherford, and it still stands as one of my favorite songs. And, your new EP “The Journey” was just released. Your voice and the songs are incredible, and very authentic. Do you think people will be surprised at what they hear? I hope they’re surprised in a good way though. I hope it gives people a better insight into who I am, and they connect to my story. Speaking of your story, what was the hardest thing about being a teen mom, and a famous one at that? Being a mom in general is hard, no matter your age. So, I will never let my age be an excuse to be any less of the mother that my daughter deserves. I think the hardest thing was knowing there were young girls who looked up to me, and wouldn’t understand this. After your pregnancy was announced. How was the transition from being at the prime of your career in Hollywood to moving away from the spotlight to raise your daughter? It wasn’t hard for me because I was in a place where I wanted to be away from Hollywood. I needed to take time to figure out who I was as a woman, and focus on being a mom so it was the only option for me. What did you enjoy about being away from Hollywood? I loved being home and being normal. I loved the simplicity of my life then. I was writing a lot during that time, so I was still using my creative outlet. Do you have any advice for young moms out there struggling to raise their child/children at such a young age? I hate giving advice… It’s not like I have it all figured out, but if I have to say something… I think you just need to really think about what kind of mother your child deserves and base every decision you make off that. That’s actually great advice! What are some “mommy time moments” that you regularly take for yourself? I love going on the river with my husband, and just being outside in the sun and by the water. Knowing all of the challenges that come from a life in Hollywood, if your daughter, Maddie, wanted to pursue a career in entertainment would you encourage or discourage it? I would support anything my child is passionate about. I would put her in the best lessons and programs to help strengthen her craft if it’s something she truly wanted. But… I would not let her sign one contract or make it “work” for her until she was 18 and could make that choice herself. My job is to keep her protected from the “grown-up” stuff till she is 18. Do you want to have more kids? Yes, but not anytime too soon. You just got married in March. So, now you have your daughter, your career and a new husband. How do you balance it all successfully? I put being a mother first, and everyone who works with me knows this and knows I will have to have a schedule that works around that. I have both a great team around me and a great support system at home to help me keep it all in balance. Do you plan to do any more acting, or is signing it for you? It’s all about singing. I’ll never say ‘never’, but music is my only focus right now. You seem like a very down to earth, and genuine, “southern girl.” Is that how you would describe yourself? Shy, happy, passionate, and a mom and wife. I hate describing myself! Ha! 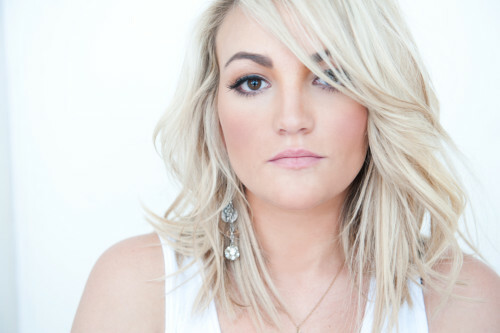 What’s next for Jamie Lynn Spears? I’m looking forward to getting out on the road and reaching as many people as I can with my music. And, really go after my dream to the fullest! Jamie Lynn Spears music can be purchased on iTunes. Such a great article. 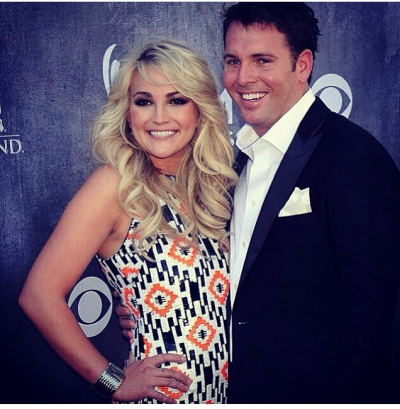 Good luck with everything Jamie Lynn! The sky is the limit! It shows how any woman can still have a career, while being a wife and mother. Great inspiring article! Hey Jamie Lynn Spears!! This article is amazing!! I know you said it is all about singing but will you ever do Zoey 101 again? I read your contest and did the things to possibly win!! I would love to meet you I am a huge fan!! Please come to Fort Wayne Inidana!! I love her EP. So many incredible songs. Can’t wait for her debut album! !